Treasure Fingers first came to the attention of the house faithful with his debut record ‘Cross The Dancefloor’; an inescapably catchy, vocoder-laced gem that two-stepped over genre boundaries and garnered support from A-List DJs around the world such as Pete Tong, Annie Mac, Sinden and Kissy Sell Out. 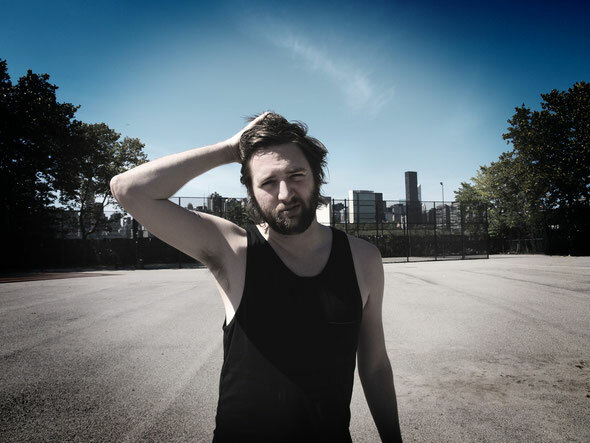 More recently, his strikingly original productions and remixes for the likes of Avicii, Chromeo, Empire Of The Sun, Santogold and Lykke Li have steadily build momentum for what looks to be an exceptional 2012 for the Atlanta producer. Here, we speak to him about the release of ‘Defected In The House Miami ’12’. It's been really great. I've had some big changes recently in my personal life but I am finally feeling settled and grounded again. I've been hitting the studio hard so far so I think this year will be really productive. What are your own experiences of Miami? I think I have experienced almost everything one could in Miami, from grimy, sweaty, dangerous warehouse parties downtown, to plush upscale nights on South Beach. After-hours in Jacuzzis, 6am swims in the ocean, hotel mishaps, fights with cab drivers… there's way too much trouble to be had in that city. Do you think anyone really gets any work done in Miami anymore? Or is it all about the party? What's this work you speak of? I don't think too much ‘work’ gets done, but maybe it's more on a basic networking level. It's always good to catch up with everyone, but I rarely see contracts or deals go down during WMC/MMW. Who were the DJs you grew up idolising, the ones that really impressed you? I think I grew up more idolizing producers, but some DJs that really stood out to me were Carl Cox, DJ Hype & Craze; all different styles, but technically untouchable. Sometimes it didn't even matter what songs they were actually playing, it was just really enjoyable to watch them do their thing. When did you first realise you wanted to pursue a career in music? I had always looked at it as a hobby, so no matter what else I had to do to earn a living, I would do music on the side for fun. Luckily, I've been blessed to actually make a living with it and do it full time. I've been really into music since a child, so I can't recall one specific moment. It was always something I've done. I grew up in a small town and didn't know anyone personally who had ‘made it’, and I had always heard how hard it is to make it in the entertainment industry so I really had no big expectations for any of this. Over the years that you’ve been producing, your talents have obviously progressed. When you look back at some of your early records, are you still pleased with how they sound? I think the ideas and songwriting still hold up, but I cringe at the production and mixing sometimes. Sometimes I wish I could go back to that creative mindset but knowing the production techniques I now know. You started off in your musical career making D&B as Evol Intent. Why the switch to housier-sounds? Do you think your previous production experience has helped in this new genre? Learning to produce D&B was definitely like production boot camp. I feel like once you can master that, most other genres come pretty easily. I had always done house/disco/funk on the side but never pursued it since I had Evol Intent going on. After ‘Cross The Dancefloor’ leaked, the feedback I got inspired me to fully jump into the Treasure Fingers project. You’re originally from Atlanta… what’s the scene like for dance music there when you were growing up? Do you spend much time there these days? I just recently moved back to Atlanta. It has a cool yet small scene. I can go out just about every night of the week and hear good music somewhere. Yet, compared to NYC where there might be 10 good parties on every night of the week, it seems a little slower here. But I'm not complaining; I love this city. I like being able to feel relaxed but still have the options of a big city. To a point, DJing is about being able to play records that not every other DJ is also playing. Now that it’s so easy to find music online, how do you make sure your sets are unique? I try to keep a very upfront selection, either new unreleased tracks from producer friends, edits I've done myself, or even rough drafts of tracks I'm still working on. I think since it is so easy to get music online, it is sort of flooded with too much music and it's actually quite hard to find the gems. Even digitally, you've got to do some heavy digging to find the good stuff. Tell us about your mix… what were you trying to achieve with it? I wanted to make a memorable mix that will stay with people through the years. Hopefully it's the perfect soundtrack for spring time in Miami. I tried to take the mix into some different areas and give some nice movement to it overall. It weaves in and out of deep house, disco and peak time records. Are there any particular tracks you’d like to highlight? To go the shameless self promotion route, I'd like to highlight ‘Rooftop Revival’; it's one of my favourite tracks I've produced to date. It's pretty minimal as far as all the elements involved, but I think each element really stands out and has room to breathe. The bassline is also quite unassuming but goes BIG on a proper sound system. With so many podcast and mixes freely available these days, what can you do to make a commercial mix like this an attractive proposition for people to go out and spend money on? This is a hard question. I'm not sure I have the best answer, but hopefully fans can see and hear the hard work put into the project and don't mind paying a bit of money for it. I think having nice branding, artwork and of course a top quality mix should stand out amongst all the other free music available out there. What’s been the proudest moment in your career to date? I don't want to be a name-dropper, but having some of the legendary producers/DJs, that I really looked up to growing up, play my music and give me props is one of the best feelings. 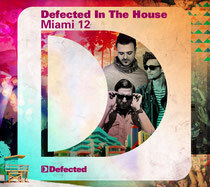 ‘Defected In The House Miami '12’ is out now. whoah this blog is fantastic i like studying your posts. Keep up the good work! You understand, a lot of individuals are searching around for this information, you can aid them greatly. Hello, i think that i saw you visited my site so i came to go back the desire?.I'm attempting to in finding issues to improve my website!I assume its ok to make use of some of your ideas!! My relatives all the time say that I am killing my time here at web, but I know I am getting experience all the time by reading thes nice content. I have learn a few just right stuff here. Definitely price bookmarking for revisiting. I surprise how much attempt you set to make any such great informative site. With havin so much written content do you ever run into any issues of plagorism or copyright infringement? My website has a lot of unique content I've either written myself or outsourced but it looks like a lot of it is popping it up all over the internet without my authorization. Do you know any ways to help stop content from being stolen? I'd definitely appreciate it.